While mechanical boards have been around for longer than any other type of keyboard input, they’re usage petered off over the past few decades as cheaper methods of production came in to being. When you’re using your keyboard for just tapping your login into Facebook, you don’t need a £70-100 piece of kit. However, now with gaming becoming more of a serious pastime, they’re seeing a resurgence thanks to their low latency, extemely long shelf life and their driver-less get back to basics styling. Today I’m reviewing just such a keboard, though it does feature some gamer influences. 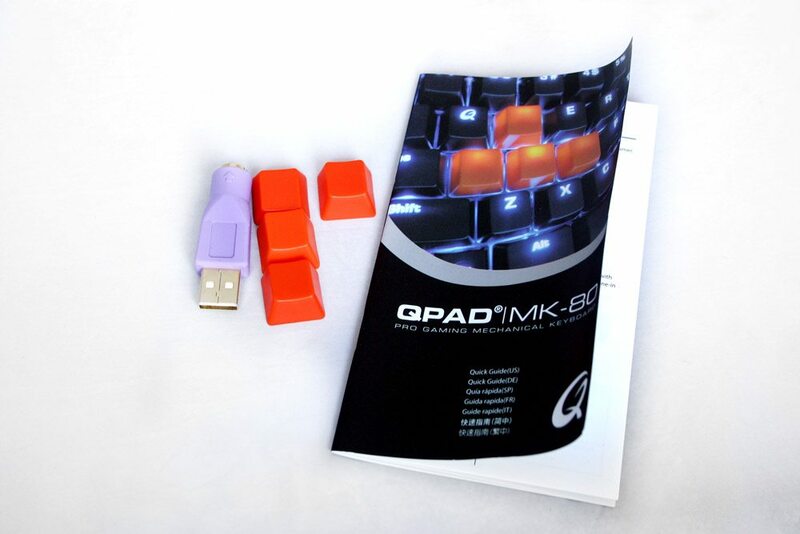 The QPAD MK 80 is a mechanical keyboard featuring blue backlighting as well as Cherry MX Blue switches and an attachable wrist rest. Let’s see how it holds up. 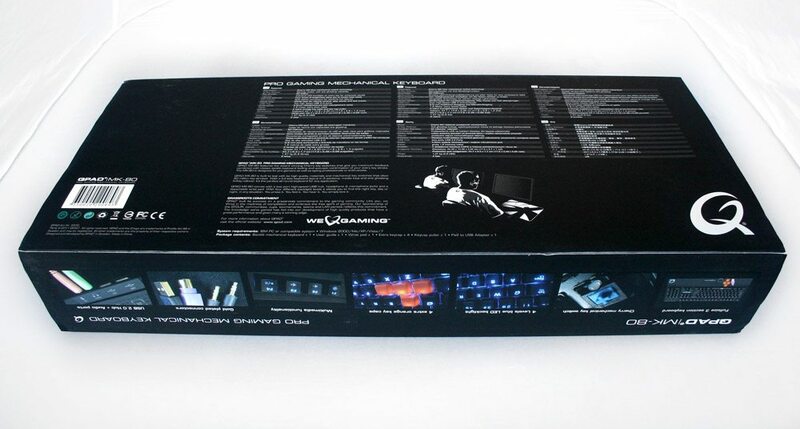 The box for the Mk 80 has a somewhat blurry picture of the keyboard all lit up and pretty. 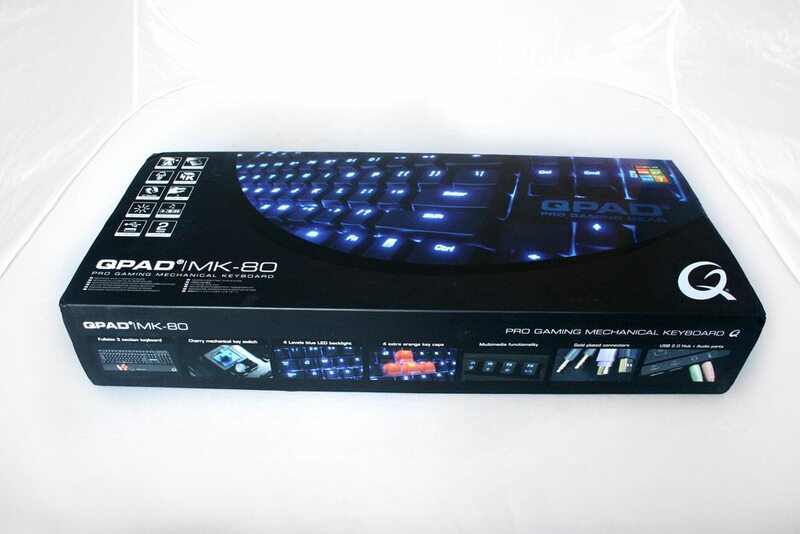 It’s a nice quality packaging, which you’d expect when paying over £100 for a keyboard. The back has the keyboard’s features listed in several languages, with the sides having some macro shots of the features in question. A couple of accessories with this one. There’s a PS2 to USB converter, four orange replacement keys and a short setup manual. There’s also a detachable (or atachable depending on your thoughts on life) wrist rest.